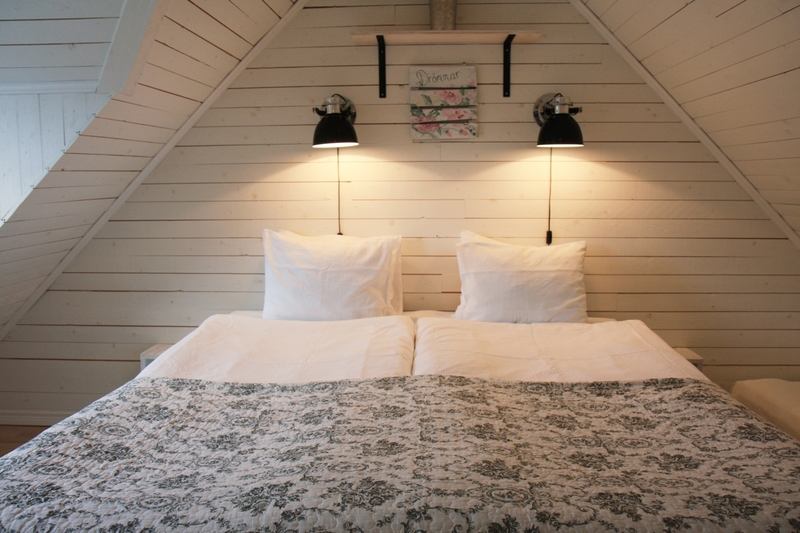 Welcome to stay with us on a farm in a peaceful and harmonious environment. Here are horses, cats, dogs, sheep and chickens. Sjögärde golf course are within walking distance and it is approximately 7 km to the lovely salty seaside resort with sandy beaches. You live in one of the two newly built and fully equipped maisonettes self-catering located above the stables. Each apartment is 50 square meters and including 30 sqm kitchen & living room. 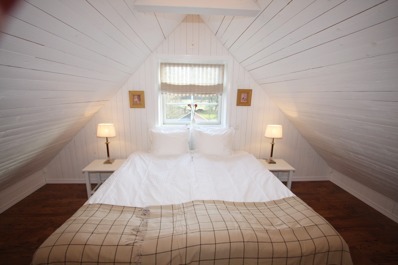 Double bed available in one apartment and the other apartment have a double bed och too extra beds. Both apartments have their own toilet with shower. 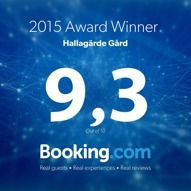 High season from June to August 990- 1195 SEK including VAT per day. 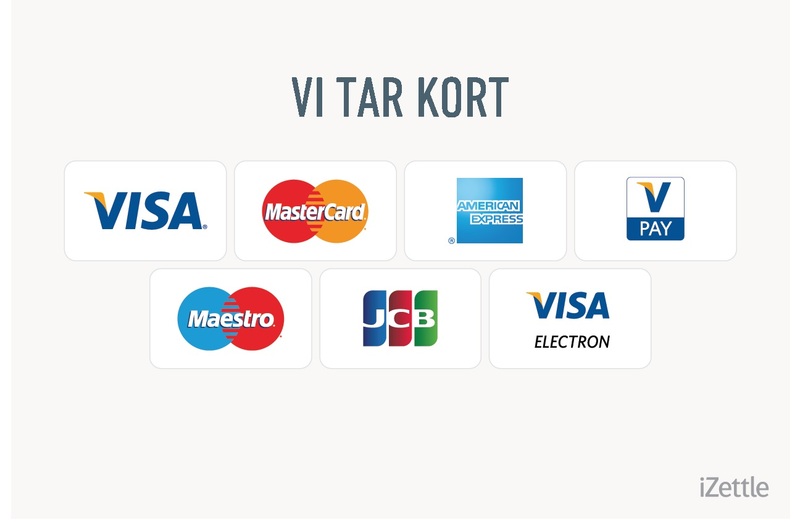 Low season from September to May 890- 1090 SEK including VAT per day. 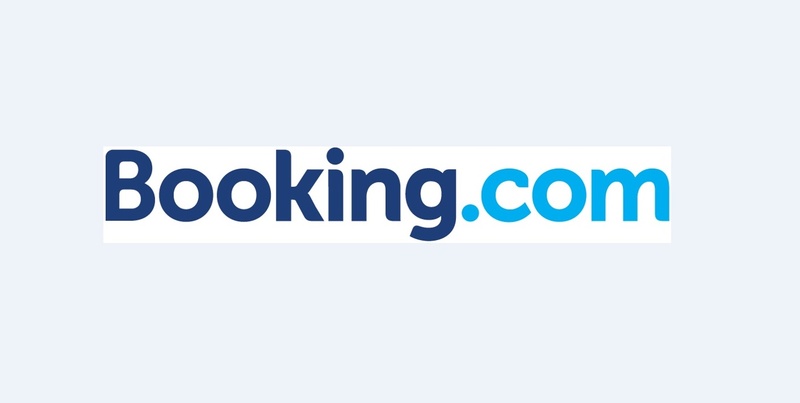 We cooperate with Booking.com as a booking site for hotel and lodging. 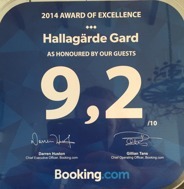 Click the button below to go directly to Hallagärde's page on Booking.com for the easiest way to book you. Bright and beautiful apartment on two levels. On the first floor there is a living room with sofa and TV open plan to the kitchen. Bathroom with toilet and shower. Upstairs the bedroom is a double set and a single bed. Bright and beautiful apartment on two levels. On the first floor there is a living room with sofa and TV open plan to the kitchen. Bathroom with toilet and shower. Upstairs the bedroom is a double bed. The price includes sheets and towels.